Uretero-iliac artery fistulae (UIAF) are the consequence of chronic inflammatory events that create a fibrous and poorly vascularized uretero-vascular adhesion. They often occur in patients with a history of surgery, pelvic radiotherapy, and chronic ureteral stenting. The presentation is usually massive gross hematuria with acute anemia unto to hemorrhagic shock, representing a life-threatening condition. High mortality rate is reported (7–23%). We present four cases in three patients, treated in our Institution from 2013 to 2018, and reviewed the published literature. UIAF was defined as the ratified presence of an abnormal communication between the ureter and any artery. In all patients, the UIAF was initially evaluated by contrast-enhanced computed tomography (CT) angiography. The management strategy was defined individually based on the specific risk profile of each patient. In all cases, ureteral-iliac artery fistula occurred in female patients with previous surgery or radiation and with presence of indwelling ureteral stent. In every case the hematuria was massive and life-threatening. Diagnosis was delayed because of the poor diagnostic accuracy of CT scan, leading to over-treatment. Angiography resulted the best diagnostic tool. The endovascular treatment proved good outcomes in terms of early complications, with no case of mortality. 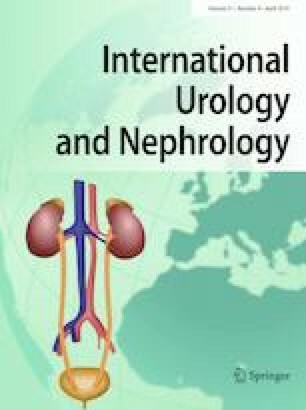 In case of gross hematuria during ureteral stent change in female patients with history of previous pelvic surgery and radiation, UIAF must be suspected and immediately treated, since it represents a urological emergency. Angiography can be useful to confirm the diagnosis and endovascular treatment with vascular endoprosthesis is the best therapeutic option. The authors all declare no competing financial or personal interests.